Skin discoloration can have many causes. Sometimes, it's annoying but nothing to worry about. However, this can also signal a more dangerous condition. Venous stasis: The term "venous stasis" describes a decrease in blood flow in the veins, usually in the legs. It tends to occur in people with congestive heart failure and may also appear in people with varicose veins. Its effect on the skin is called "stasis dermatitis." Symptoms and signs include leg swelling, the development of sores and deep ulcers, and a gradual thickening and darkening of the skin. The ankles are a common site for this discoloration. Treatment options include compression hose that may reduce swelling; you can also exercise more and keep your legs elevated when sitting. Melasma: Melasma is a darkening of facial skin. It often accompanies pregnancy, and sometimes it appears in women taking birth control pills. 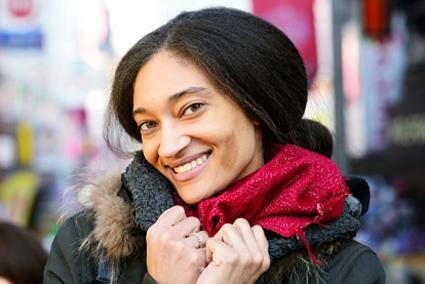 Young women with dark skin and people who live in sunny climates are also at higher risk, but anyone can develop melasma. Treatment includes sun protection and gentle bleaching creams. Birthmarks: A life-long patch of darkened skin may be a birthmark. Café au lait spots are the color of coffee with cream. They can appear anywhere on the body and are usually harmless. However, multiple café au lait spots can signal a genetic problem and should be checked by a doctor. 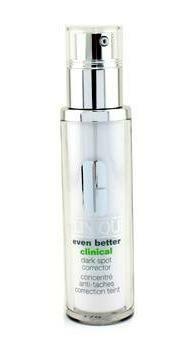 Clinique Even Better Clinical Dark Spot Corrector. This serum is specifically designed to improve areas with dark spots. It boasts a one to two shade difference within four weeks and a 58 percent improvement after twelve weeks. There are many fans of this prescription-strength product, with Marie Claire and reviewers on Influenster raving about the quality and results. It contains glucosamine, salicylic acid, blackout yeast extract and vitamin C. Expect to pay about $145 for a full-sized bottle. Shiseido White Lucent MicroTargeting Spot Corrector. Another option comes from the popular beauty brand Shiseido. Their intensive anti-dark spot fluid helps diminish the overall appearance of dark areas. According to an independent consumer study, 73 percent of users experienced a reduction in dark areas after two weeks of use. It costs about $130 and contains the brand's exclusive SakuraRESIST Technology with Japanese cherry blossoms. This product has been featured in numerous beauty media articles, including Elle, Harpaar's Bazaar, and StyleCaster's best products for dark spots. Vitiligo: Vitiligo is a skin disorder involving the gradual lightening of patches of skin. It may involve just one small area, large patches, or even most of the body. It's not dangerous, but the discoloration can be upsetting. Doctors think the cause may be a problem with the immune system. Treatments include steroids, special lights, and creams to calm the immune reaction. Tinea versicolor: This condition may look like vitiligo, but it's caused by a fungal infection. The fungus prevents skin from tanning normally, so that lighter patches appear; as the yeast grows, the patches may join and become larger in tinea versicolor. Antifungal creams and prescription anti-fungal pills can help treat this condition. 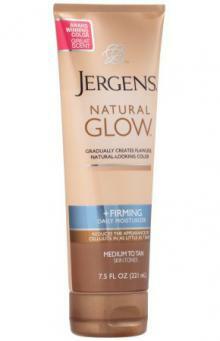 Jergens Natural Glow Daily Moisturizer.When it comes to light patches and unevenness, there are a few ways to address the issue. You can either make the skin darker so light patches are less noticeable, or go lighter to blend the discolored areas. To deepen, a tanning product like this daily moisturizer (which is under $10) works well. It uses a blend of hydrating ingredients, antioxidants, and Vitamin E to create natural-looking color all over the face and body. Not only was this named one of Allure's Best In Beauty, it was recommended in a Huffington Post article about camouflaging skin imperfections. Fresh Peony Spot-Correcting Brightening Essence. If you would rather focus on brightening the skin, avoid harsh skin lightening products that can cause sun damage and allergic reactions. Instead, opt for a cream or serum that will brighten, like this one from Fresh. It costs about $70 and contains natural ingredients like peony, licorice root extract, and Vitamin C glucoside. This brightens, lightens, and reduces the appearance of imperfections. In fact, 97 percent of users found it lightened the skin and created a more even finish. Reddened skin usually signals skin irritation, damage, or an allergic rash. Staying away from the irritant and allowing skin to heal usually makes the redness go away. However, some causes of red skin discoloration are more difficult to treat. Rosacea: This common skin disorder is most common in fair-skinned people, but anyone can develop it. Rosacea begins as increased facial flushing-like a deep blush-and proceeds to permanent reddening, sometimes with prominent blood vessels and thickened, bumpy skin. Treatment includes avoiding triggers (such as spicy foods, certain lotions, or extremes of temperature), wearing sunscreen, and using both prescription and over-the-counter medicines. Oral antibiotics like tetracycline or doxycycline or topical antibiotics like metronidazole may help the rosacea; stronger medications like Retin A may also be prescribed as well. Red Birthmarks: Several types of birthmarks cause red or wine-colored skin. "Stork bites" are pale red patches on the back of the neck. They often disappear in childhood, but can remain into adulthood, too. Similar marks can appear on the forehead and eyelids; these usually fade by age two. Port-wine stains, red or dark purple marks caused by improperly formed blood vessels, are lifelong. They sometimes signal underlying diseases, so they should be discussed with a doctor. 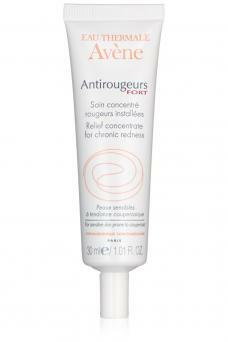 Avene Antirougeurs Fort Relief Concentrate.While there are many ways to tackle red skin (which is often characterized by sensitivity and inflammation), this product from Avene is an intensive treatment recommended by Prevention Magazine. It costs about $50 for a tube and contains ruscus extract, shea butter, vitamin E, dimethicone, Avene Thermal Spring Water. This item reduces redness, soothes irritated skin, and prevents moisture loss. Since it is hypoallergenic and non-comedogenic, this is suitable for people of all skin types. SkinMedica Redness Relief CalmPlex. This moisturizer has been proven to reduce facial redness. Results may begin to appear after two weeks, but are more noticeable between four and twelve weeks of continued use. It has a price tag of around $90 and contains ingredients like jojoba and niacinamide (to strengthen and soothe), as well as glycerin, 4-ethoxybenzaldehyde, and vitamin B3. This cream targets the underlying causes of inflammation - and even won an Allure beauty award for the being one of the best products for sensitive skin. Skin damage can lead to patches that are lighter or darker than surrounding skin. Blisters, burns, and acne can all leave skin discoloration. Burns: First and some milder second degree burns may cause skin discoloration as they heal - second and third degree burns typically require more intensive therapy like skin grafting. Using antibiotic ointments and keeping the area clean can help the burn heal and avoid infection, which can make discoloration or scarring worse. These areas may be sensitive to the sun and will require sunscreen for up to 18 months after the burn. The discoloration will often improve on its own over time, but after the wound has healed, you can use a camouflage makeup to cover the scar. Other treatments like laser resurfacing, microdermabrasion, or chemical peels may also be an option to help the skin return to its normal color. Your doctor will advise you on the best option for you. 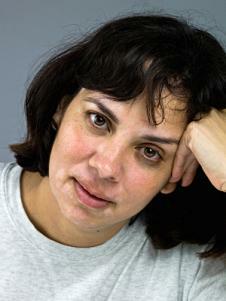 Acne Scarring: Acne develops when the pores of your skin get clogged. More severe outbreaks - including the development of acne cysts - can lead to acne scarring on the face, back, and chest. 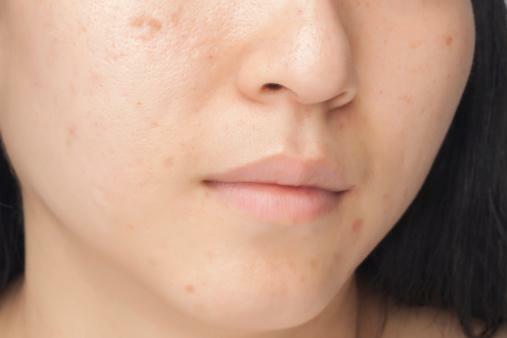 There are several options to manage acne scarring like acne scar surgery, laser skin resurfacing, fillers, chemical peels, microdermabrasion or dermabrasion, injections, or cryotherapy. Your doctor will want to treat any active acne before dealing with any acne scarring. Sun Damage: Excessive exposure to the sun (or tanning booth) without sunscreen or sunblock can lead to discolored skin as well. Sun damage can lead to skin freckles, mottled skin, and telangiectasias or dilated blood vessels. Frequent severe sunburns - especially before age 18 - can lead to melanoma at an older age. Lots of unprotected skin exposure can lead to squamous cell or basal cell cancer in your later years. 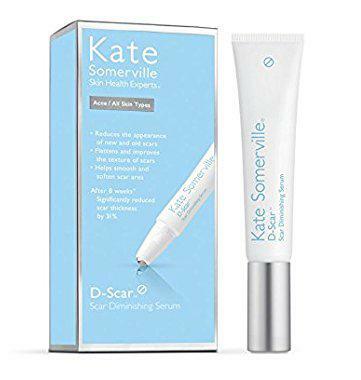 Kate Somerville D-Scar Scar Diminishing Serum. Whether you are dealing with a burn, acne scarring, or the effects of the sun, this is a product you may want to consider adding to your routine. It improves the appearance of scars (both old and new) by flattening them to create a smoother finish. A clinical study found 100 percent of users saw improvements in scar texture and smoothness after four weeks. Eight weeks of use saw a reduction of scar thickness by 31 percent. Containing a DS-7 (a microencapsulated Peptide) and botanical extracts, this serum (about $48) has plenty of fans. It even made the list of The Fashion Spot's best scar-reducing treatments. LANCÔME Énergie de Vie The Smoothing & Glow Boosting Liquid Moisturizer. If you are struggling with damaged skin, proper hydration is essential. This moisturizer combats a dull and tired complexion, rough or uneven texture, and dryness. Its unique formula (it is a liquid that provides the benefits of both a serum and cream) has helped this product stand out. It energizes the skin with plant extracts like goji berry and lemon balm, and was recommended by Vogue in an article about skin serums. At around $55 a bottle, you can expect to see healthier skin, a smoother texture, and plenty of hydration. Trying to determine whether or not to seek professional care for discolorations can be difficult, but it's always better to err on the side of seeking medical help if you are unsure of your condition. Injuries to the skin like burns should be evaluated by a health care professional when they occur; other conditions like venous stasis should also be followed by a physician because there is a risk for the development of skin infections. Many people try to manage conditions like acne or rosacea at home. Mild cases may be successfully dealt with at home but moderate to severe cases of both diseases may require a doctor's evaluation and treatment with prescription medications to improve them. Dealing with residual discoloration may also require additional medical attention. Birthmarks may not typically need much treatment unless there is a change in appearance or increase in size. 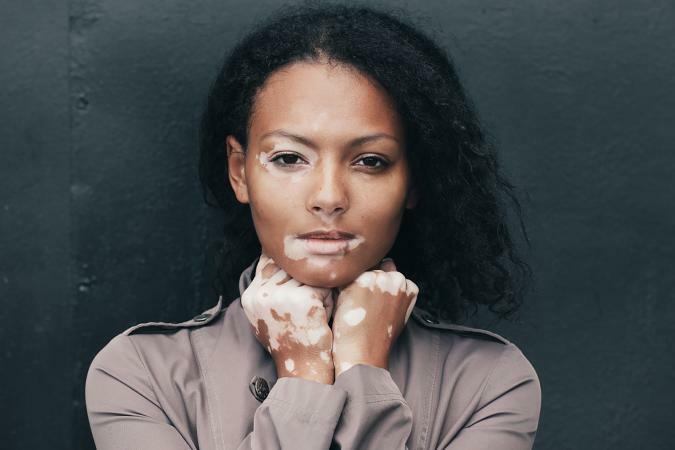 Other new changes in the pigment of the skin - like vitiligo - often should be evaluated because there may be a treatment that could cure the condition or prevent it from getting worse. The good news is that most types of skin discoloration are harmless, temporary, and respond well to treatment. However, any change in the skin is reason to check with a doctor, especially if it doesn't go away or causes discomfort.